In this training, you will learn all the how-to’s of facilitating an ongoing Women’s Temple group. You will gain insights into the background theory of women’s group dynamics as well as have the opportunity to practice feminine leadership and to receive constructive feedback. The learning process is a carefully balanced mix of theory and experiential transformation. Many of the practices are dynamic and interactive (e.g dance, dyads, respectful touch), but we will also spend time in silence and inner contemplation. To read more about the Women’s Temple practices, go here. To be certain that this is the right training for you, please make sure that you have some experience with the Awakening Women practices before you attend. The content of this training is authorized by AWI and follows the curriculum developed by Chameli Ardagh. However, this is an event organized by Dominique and not by Awakening Women Institute (AWI). Called to embody the feminine & share this exploration in a group of conscious women. Longing for sacred space for full expression in devotion to truth. Wanting to explore Feminine Leadership and learn the art of leading a Women’s Temple Group. Wanting to rejuvenate through deep dive into feminine spiritual practices. Feeling called to awaken and embody feminine brilliance, for real. Profound revitalization of body, mind and heart. Deepened intimacy with all that is sacred, within & around you. A clear connection to your own feminine essence and inner guidance. An undeniable sense of being connected with all things. A deeper sense of purpose in work, relationship and life. Inner peace, self acceptance and compassion for yourself and others. Skills to start and sustain a Women’s Temple group. A firmly claimed seat in both a global and timeless circle of conscious women. We have limited space for this event. We will create a waiting list once it is full. We have scholarships available for women under 25 and those in need…contact us for details. The first step to getting registered for this event is to fill out the application form here. Once we have received and reviewed your completed application, we will confirm your seat. In case of cancellation before February 1, we will keep 50% of your deposit as an administration fee. Thereafter, we will keep 50% of the total course fee, until 3 weeks before the event. There will be no refunds 3 weeks before the event begins. In case of sickness, you may transfer the course fee (minus deposit) to a future training within 1.5 years. Dominique is an Awakening Women Temple Training Teacher. 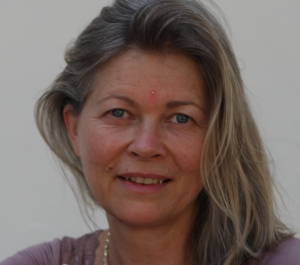 She fell head-over-heels in love with Awakening Women and the Yogini Circle in 2011 and has since given her life to this wild path of feminine embodiment. 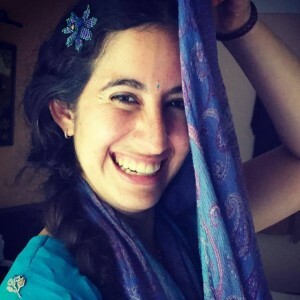 She has spent the last 6 years traveling and apprenticing with Chameli, the founder of Awakening Women, attending and assisting in most trainings and retreats, deepening her practice as a yogini committed to awakening. Dominique works as part of the AWI team. She has held her own Women’s Temple Groups in Sebastopol, California for 1 year and in Berkeley, California for 5 years. For several years, she has been initiating new women into the Nevada City Women’s Temple group, the first Temple group started by Chameli Ardagh and Helena Montelius. Dominique has devoted her life to exploring what it means to be an embodied, truth-devoted woman on the earth at this time. She has founded and teaches her own work of Self-Marriage Ceremonies for women, a pathway of committing to what matters most and honoring the wholeness of our hearts. To me, the training was a deep dive into the potential of connected womanhood. The two of them embody leadership in deep devotion, in trust and ease, without pressure or strain. It was wonderful to experience over the course of the week, how one woman after another went through insecurities or issues and stepped into her power as leader of the circle. And it was apparent how each woman showed up with her special gifts and strengths, her very own voice and her very own medicine. I have experienced on a somatic level – not just as something understood with the mind – that we as women can be the most powerful when we are not making an effort and step from doing into being. And don’t even try to be in a certain way, but really letting go into being ourselves. Having the circle of women reflect to me, who I am, what I have to give and on deeply on a cellular level knowing that I belong is the greatest empowerment I can imagine. My experience there had been very rich, deep and allowed me to embody what truly a women`s temple is all about. The venue was so beautiful with lovely and welcoming people and delightful food. The teachings were delivered with such focus and clarity, and supported so well with the practices. It almost didn’t feel like learning but living the wisdom. I liked the way we were supported with our own temple practice as Temple Mamas. To be given that opportunity to practice within endless support, acceptance and love truly encouraged me to be myself, to listen to my instincts and to set up my temple in the town I live. I truly feel a whole circle of wonderful women in my backspace where ever I am and whatever I do. This feels very special and thank you for creating such a safe and open space for us all to be part of this Sisterhood. I would like to start by sharing that it is difficult for me to put into words what I’ve experienced at the The Awakening Women’s Temple group. And I believe the reason why is because it happened in another realm and speaks the language of the heart. I can say that it changed me in ways I was not expecting. It connected me with something bigger, with something deeper inside myself and awoke me for a different way of living – more aware, loving, compassionate and in touch with my true essence. I definitely feel compelled to start a Temple group and create the space for women to gather and celebrate the blessing of being a woman. Deeply grateful for this retreat. You created a space of gentleness and tenderness that was unique. It was soft, allowing, opening, evolutionary. The atmosphere of a Temple, whatever was on the schedule. I had such beautiful time for a couple of days that affected me very much on a deeper level. A blessing to be in this space of the feminine and divine. In that space I understood the depth and the ancient wisdom of the circle, the force, that direct the temple group. You made me feel capable, gave me a lot of knowledge about how to manage a group, understanding and inspiration. I got an opportunity to listen to my call for living my life the feminine way. The diploma and the great inspiration from this training helps me to live my longing, makes me confident to create a temple group in my way. And I’m very proud of being a Temple Mama! This training is going to change my life and impact me to make the next steps on my path. To live my life close to the heart, to be true to myself and to stand up for the Divine. I’m in deep gratitude to you. I feel blessed that I was in the Women’s Temple Training. – the atmosphere in the group of sisters, the team, the participants, the cooking team …. I enjoyed the training so much. I discovered that no matter what language you speak, if you are present and speak with an open heart, everyone can feel the words…the meaning…the practice. The tools I have learned are not only helpful for leading a temple, they are also amazing support (pillars) for diving deeper into yourself and of becoming more aware of who you truly are. This lovely, gorgeous training helped me to share more of my gifts with the world. Each practice feels like a deep breath. You become more centered and aware. It is like a drop of water expanding when touching and diving into the surface. These days were absolutely beautiful. The Temple space we created was deeply nourishing and supportive, and I received so much inspiration for my own leadership practice in my Temple group. The most valuable gift was how this retreat helped me reconnect with my deeper purpose and supported me to surrender to that greater cause.